Joan Ferrini-Mundy is tasked with developing new ways of meeting the state's growing workforce needs. 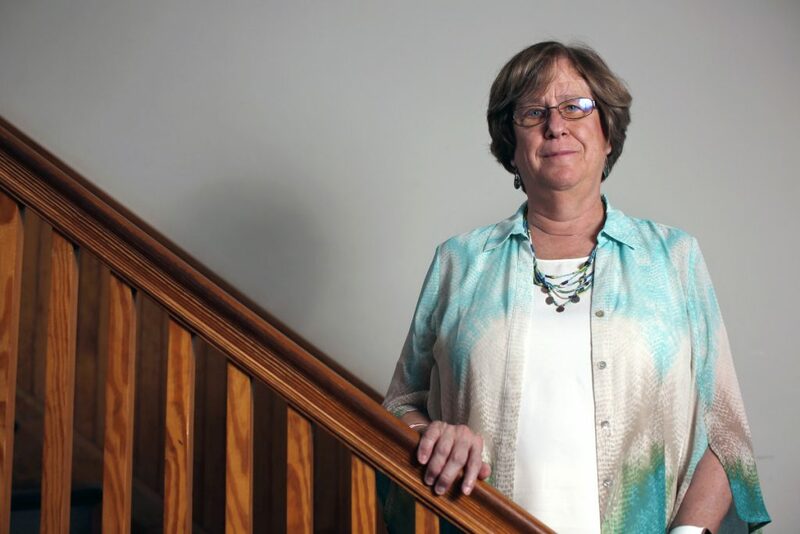 ORONO — Joan Ferrini-Mundy sees the connection between her past work developing new ways of teaching science and math and her new job as president of the University of Maine. At the university system’s flagship campus, she has been tasked with developing new ways of meeting Maine’s growing workforce needs, particularly in engineering and computer science. “Today’s world is calling on people to be able to work across some of the traditional boundaries,” Ferrini-Mundy said. Tomorrow’s workers will need a mix of skills, such as expertise with data analytics, even for work traditionally grounded in the social sciences, she said. Ferrini-Mundy, 63, was most recently the chief operating officer for the National Science Foundation, a $7.8 billion federal agency supporting fundamental research and education in non-medical fields of science and engineering. Her work there included leading a division that integrated research about teaching and learning to develop STEM – short for science, technology, engineering and math – curricula for students of all ages. Prior to that, she held academic and leadership positions at Michigan State University and the University of New Hampshire, where she earned a Ph.D. in mathematics education. She served as associate dean for science and mathematics education in the College of Natural Science at Michigan State, and was a professor of math and teacher education for 12 years. Before joining Michigan State, Ferrini-Mundy was director of the Masters of Science for Teachers Program and a math professor at UNH for 16 years. In recent years, research funding has ranged between $80 million and $130 million a year. “We want that trend line to be increasing,” Page said. Ferrini-Mundy is also well suited to use her experience developing effective teaching practices to improve the educational experience at UMaine. Ferrini-Mundy said her years of collaborating with people in different academic settings will serve her well as president at UMaine. It’s too soon now – less than two months on the job – to clearly set out her priorities, but she’s already in intense listening mode. One of the first things on her plate is fundraising. UMaine is in the midst of a $200 million capital campaign – of which $160 million has already been raised – while at the same time trying to find the last $14 million for a new $75 million engineering building. Also this fall, Maine voters face a $49 million higher education bond, and system presidents are all making the case for why the bond is important to their campuses. UMaine is also in the first year of overseeing the University of Maine at Machias as a regional campus, and Ferrini-Mundy is president of that campus as well. She will also be working closely with University of Southern Maine President Glenn Cummings in creating a new graduate center that will, among other things, house a new MBA program that replaces two separate graduate business programs operating at the two campuses. Cummings said that work is already underway. On the Orono campus, Engineering Dean Dana Humphrey said he’s already been working with Ferrini-Mundy on raising the remaining funds for the engineering building, a key element in an expanding department. The College of Engineering offers 11 bachelor’s degrees, eight master’s and five Ph.D. degrees, and demand has been growing. This fall’s incoming class of 517 engineering students is a record for the college going back to the year after World War II, when returning veterans flooded the program. In the last three years, the department has added 13 new faculty members, he said. Ferrini-Mundy has also been visiting key UMaine research facilities and says the school is clearly meeting its mission of working closely with state partners. “I do think (UMaine has) a good culture already very focused on engagement,” she said, noting partnerships with the agricultural community through the Cooperative Extension and with the marine community through the Darling Marine Center in Walpole. Other major research centers include the Advanced Structures and Composites Center, the Climate Change Institute, and institutes dedicated to aquaculture, forest bioproducts and geographic information and analysis. UMaine is also undergoing a major shift in energy supplies, considering a plan to get much of its heat and electricity from an on-campus Renewable Energy Center fueled by locally harvested wood and a huge solar array, according to contract proposals. Ferrini-Mundy will be paid $350,000, which is partially subsidized by a new $5 million endowment fund established by the Harold Alfond Fund to make the salary nationally competitive. Even at the increased amount – the last president earned $275,000 a year – it is on the lower end of compensation for flagship public universities. By comparison, the new president of the University of New Hampshire earns $445,000. This story has been edited to correct the amount of the education bond at 8:13 a.m. on August 20.